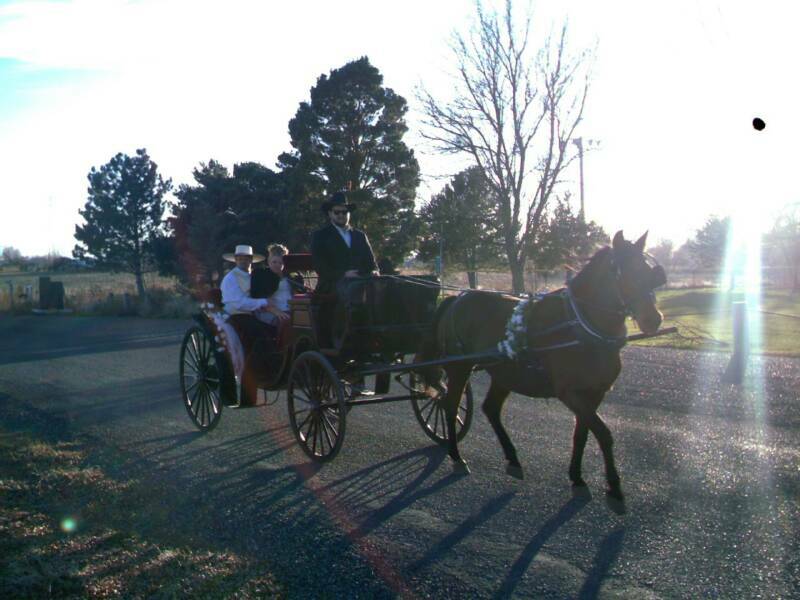 Our Buggy and driver are available for weddings and other special occasions. 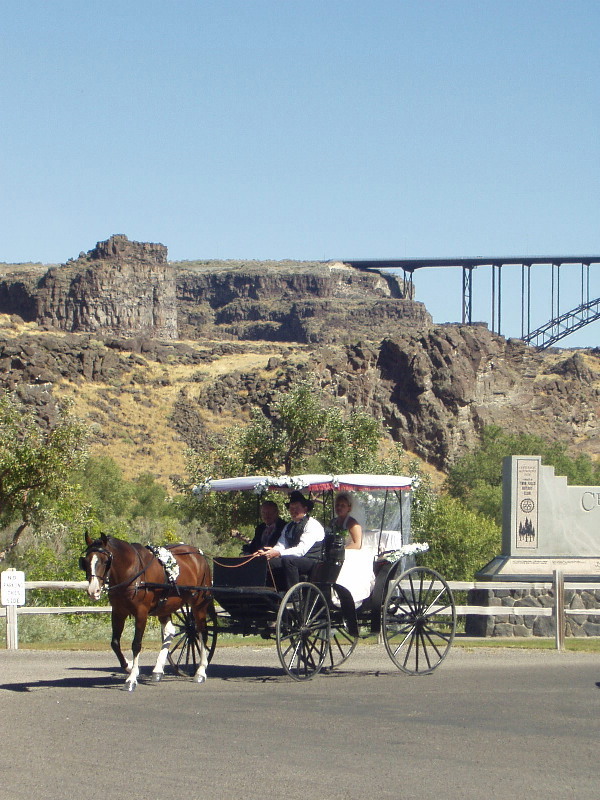 Buggy will seat 1-4 passengers, and travels approximately 4 mph. 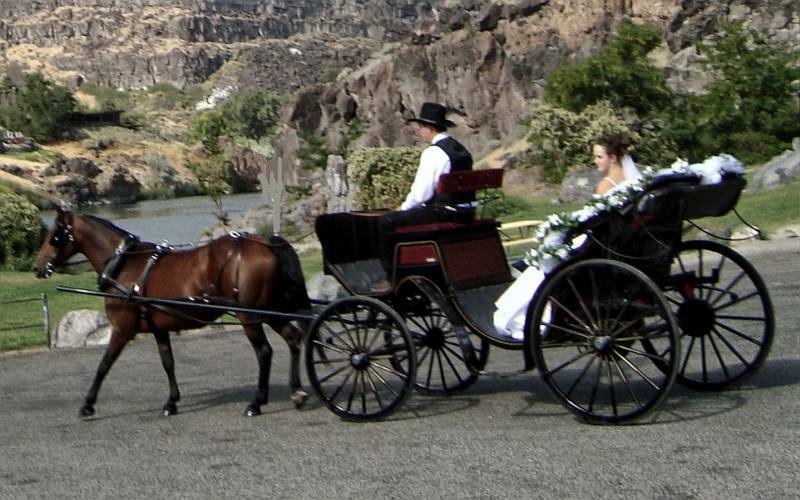 Rental includes buggy, driver, horses and basic decorations for up to 1 1/2 hours, including time for pictures. Additional time is available.With planning and preparation, we can accommodate just about anything. Our horses are wonderful well trained animals. Windy is our primary buggy horse. She is a bay morgan we bought 4 years ago. We also occasionally borrow Yankee (and his owner/driver Carolyn Phillips) Our horses are highly regarded members of our team. For the safety of our horses and passengers, we will not travel extreme terrain or unsafe road conditions. A 50% deposit is required to reserve a date. Balance is due the day before event, or at rehearsal.We will not book two events on the same day, without written approval from both parties. Deposit is refundable up to 30 days before event. If we are unable to fulfill our end of the contract for reasons relating to bad weather, or other unforeseen circumstances, a full refund will be made. It will be necessary for us to rehearse the route,timing and special requests for your event. This can be done ahead of time. 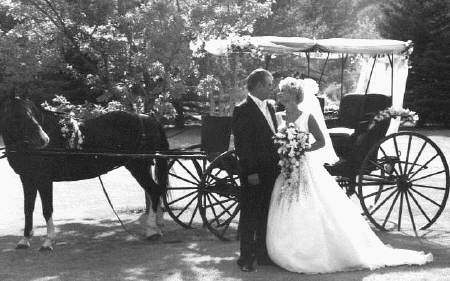 If you are planning to arrive at your wedding in the buggy, we like to attend the wedding rehearsal to make your event as smooth as possible. As a final note; we are pleased to make this service available to complete your special day. Our drivers and horses are trained and experienced, but remember that horses are living creatures, entitled to their reactions. Make us aware of any special circumstances or conditions, so that we can be prepared. The pleasure and safety of everyone is very important to us. We would like to thank all of the wonderful couples we have worked with. We enjoy the opportunity to make your special day a little closer to perfect. A special thank you to those couples whose pictures we have used for our website and advertising.